Riyadh-King Abdulaziz Center for National Dialogue launched a supporting strategy for the security efforts in Saudi Arabia to enhance aspects of combating terrorism and extremism and averting its harm to the society’s cohesion. 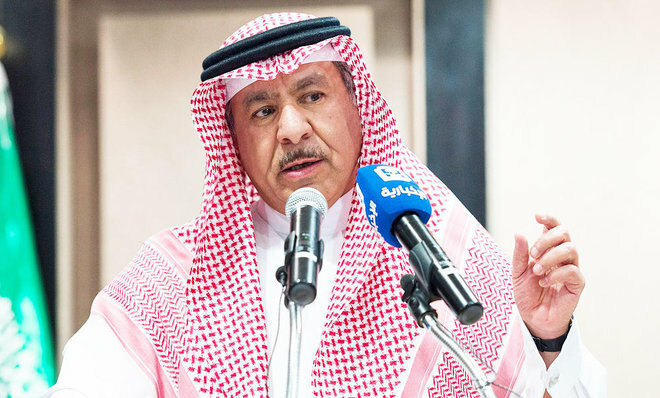 Secretary General of King Abdulaziz Center for National Dialogue (KACND) Faisal bin Muammar told Asharq Al-Awsat that the center relies, through its various programs to combat terrorism and extremism, on security and intellectual efforts and the positive interaction of the community with all activities and programs of the center. Bin Muammar said that the strategy comes from the intellectual and security achievements and from the efforts of all the community institutions in this field, confirming that the concerted efforts between government and civil society contribute to fighting extremism and warding off its damage on the society. He explained that one of the most important topics the center has been working on is to question the silent majority in the society, which is the largest segment of the society. This segment represents the general trend in Saudi Arabia and contributes to combating radicalism, bin Muammar said. Regarding posting the center’s programs on social media, bin Muammar said that the center focuses on spreading awareness and education on social media in order to be able to spread the principles and values of dialogue. He stressed that the center has recently launched a number of programs aiming at bringing different points of view closer on issues with multiple perspectives. The intellectual arena is currently witnessing wide, unorganized and non-objective debates on social media, he explained. “Social media falls within the framework of each team standing against the other, which does not serve the coexistence, understanding, and cooperation,” bin Muammar added.